One of my favorite teachers was an English professor who would point out how the works of all the West’s great authors were either inspired by, contending with, or a derivation of something in the Bible. 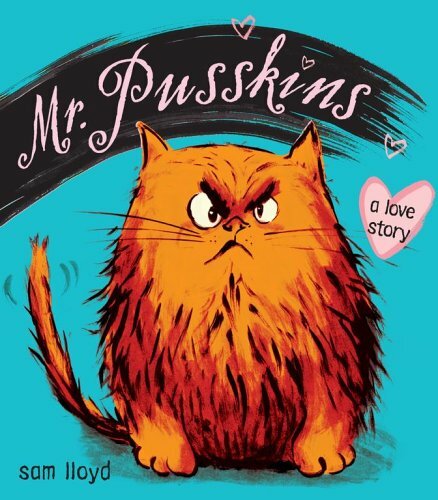 It turns out that what’s true for the greatest literature in Western Civilization is also true for Mr. Pusskins: A Love Story. Now this is a great kids’ book any way you measure it: the pictures are big and bold, simple but still emotion-laden, and the author captures the very essence of “cat” with his main character. But what really sets this picture book apart is the biblically-based moral. Actually I’m not entirely sure the author did it consciously, but to any Christian the parallels to one of Jesus most memorable parables will just leap out – this is the tale of The Prodigal Cat. Mr. Pusskins is a well-loved and well-treated cat. His master, little Emily, adores him. However Mr. Pusskins, as cats are prone to be, is rather self-centered and doesn’t realize how good he has it. He wants more and so one night he leaves to discover the rest of the world. He has fun, at the start. He plays naught tricks with the Pesky Cat Gang and goes all the places he isn’t supposed to go. But soon enough, after his friends abandon him and he gets lost and dirty, he starts to realize just how good he had it and starts to wonder if his master might still, possibly, love him. I’d highly recommend this book. Little children will love the big bold pictures and parents can use it as an opportunity to talk about ingratitude. One caveat: little Emily at one point uses the expression “thank goodness” so I want to warn those who regard this as a too close substitute for the similar expression that takes God’s name in vain, that it does happen once. You can pick up Mr. Pusskins at Amazon.com here and Amazon.ca here.